The finishing of kitchen space between the tabletop and a wall is very important. This part of the surface must be particularly protected against humidity and dirt, and at the same time it should have aesthetical appearance, and therefore we have created our MDF tabletop strip. This is an elegant, and robust product which helps to finish the space in a kitchen to the highest quality standards. The strip is available in a full color range of our laminates and has one-sided curvature. 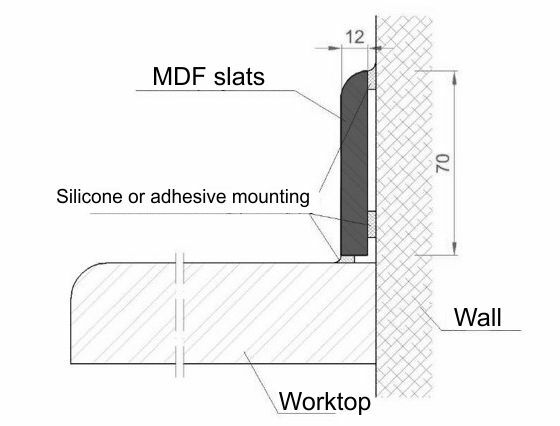 Interested in our MDF slats offer ?